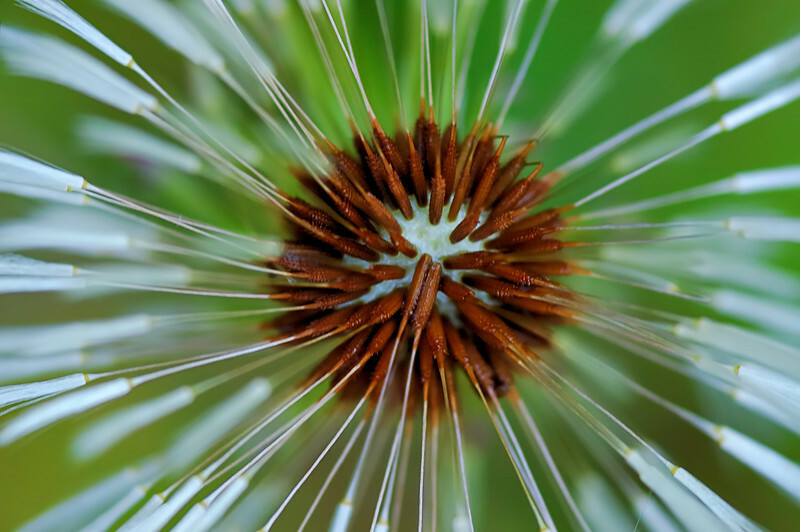 A closeup of a "dandelion clock" that seems to suggest a sunburst. This is the other photo from 05-05-2007 I was most strongly considering for the 24 Hours of Flikcr, but I ended up going with the one of the hoverfly I posted earlier instead. I love macro's like this. Great shot and unique perspective!